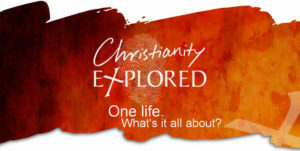 This course gives you time and space to think through the big questions of life and to explore the life of the person at the centre of the Christian faith, Jesus Christ. There is plenty of space to ask any questions that you have about Christianity, no matter how simple or difficult you think they are. We thoroughly recommend it for everyone new to church or returning after a long time. You won’t be asked to read or pray aloud, and you don’t need any previous experience or knowledge.